Image courtesy of Salle de Ventes du Beguinage. 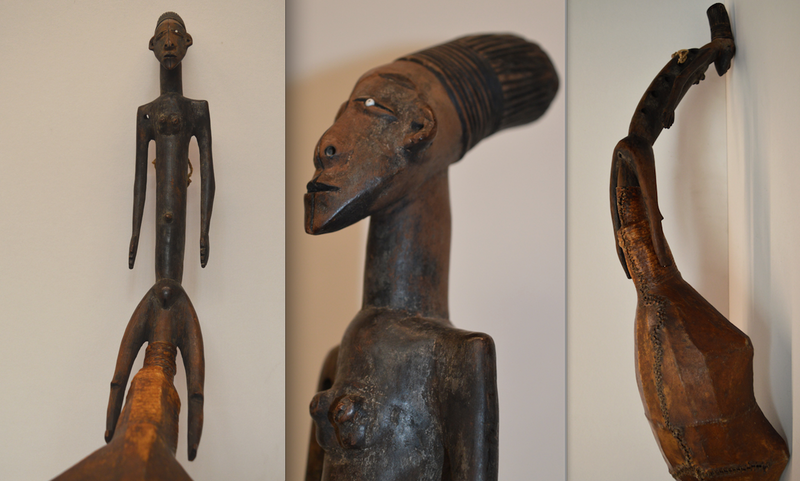 One often hears the claim that all major African works of art are known by now. But we Belgians (and the French too of course) know better. Every now and then something major pops out of nowhere, and today was such a day again. The small Brussels auction house Beguinage sold a previously unknown Mangbetu harp with an anthropomorphic column for a small fortune: it was hammered down for € 300,000 (so ca. € 360,000 with costs), selling to a French dealer (a Belgian colleague being the underbidder). Once again a clear prove that it doesn’t matter how small or obscure the sale is, if it’s good it gets noticed. Note that is has been a while since I posted about sleepers at auction.. Unfortunately there don’t exist recordings of Mangbetu harp music. This entry was posted in Auctions, News and tagged Mangbetu on June 7, 2016 by admin.